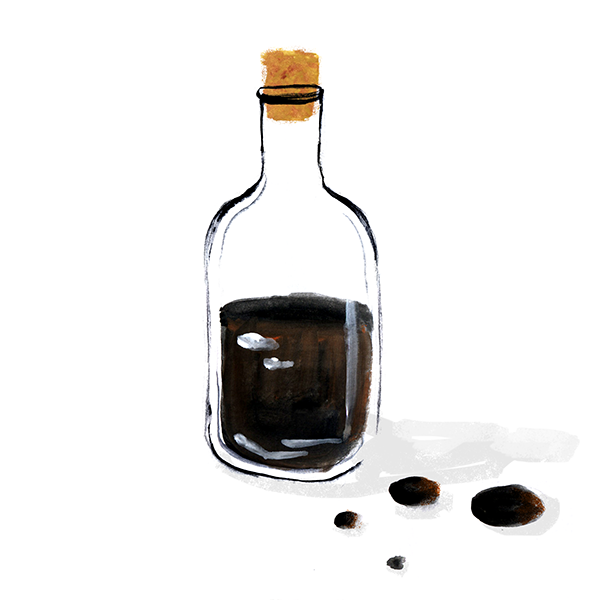 Reducing balsamic vinegar brings out a more concentrated, flavorful balsamic that enhances everything it touches. Drizzle it on roasted vegetables, fresh tomatoes and basil or use it as a salad dressing. Your kitchen will smell like vinegar for a little while, but it’s worth it. You can also simmer the vinegar with a cinnamon stick, orange rind, cloves, or a few sprigs of herbs for added flavor. Combine vinegar and sugar in a saucepan over medium high heat. Bring to a simmer, then turn down heat and keep at a low simmer. Simmer until vinegar is thickened and reduced by half, about 15–30 minutes. Vinegar is thick enough when it is able to coat a spoon. For a thicker glaze, you can simmer until it is a fourth of the original volume. Let cool. As it cools, it will continue to thicken slightly. Store in a glass jar and use as needed.